Prepaid SIM for calls, text AND data in France and the EU: Avoid the hassle of dealing with shops and contracts in France, where staff often don’t even know about the products! 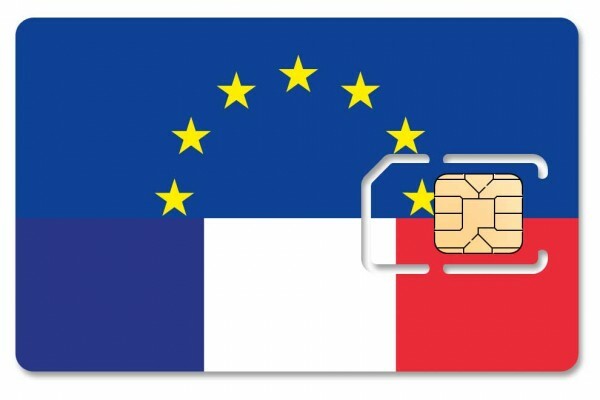 If you are looking for a prepaid France SIM and/or Prepaid Europe SIM card for calls, text and data for France (and the EU! ), then look no further! 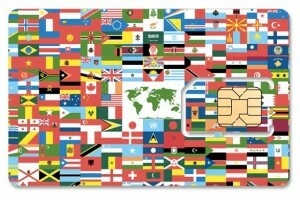 These prepaid SIMS work in France and all 28 countries of the EU* including the UK! 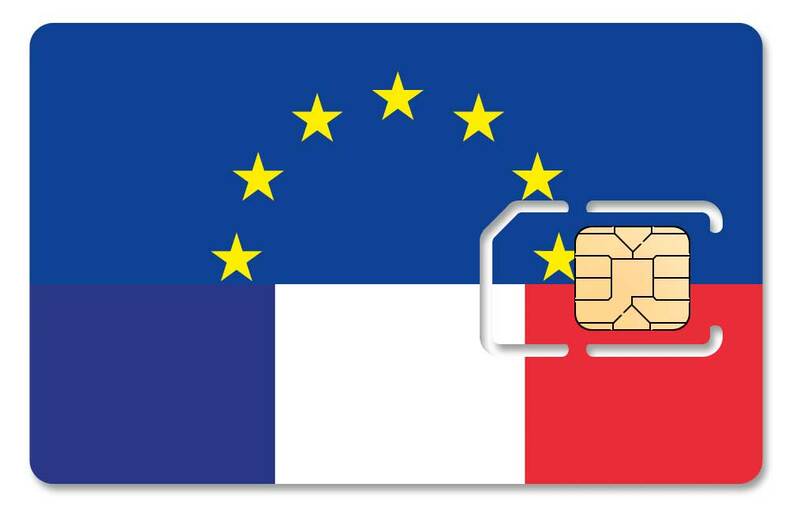 Our Prepaid France and Europe SIM cards come with enough credit for 1GB of France data and heaps of calls/text, or 1GB of EU data, out of the pack. Please note, the network carrier at any time can change the tariffs at any time without notice. They run on the Orange network. In my experience, you’ll get the best coverage on Orange, even in the depths of the Pyrenees. No drop outs as you Tweet images from the Alpe D’Huez to your mates. Easy and instant activation: the SIMs come pre-activated. Instant and easy top-ups online: top up online direct to your card. Simple, easy, no mucking around. Add data and call/text plans by texting a code to a phone number. Easy top ups in-store: top up at Paysafecard outlets. The outlets are dotted around France, and often in Tabacs. English website: no need for fancy translation apps or learning French and all the messages/menus are in English. Tethering allowed: one SIM for your phone, tether your laptop or iPad/table (or buy another SIM for your tablet). Note the limitations on tethering detailed here. SIMs work in your phone, laptop, tablet and even your unlocked USB dongle. All apps work with these SIMs: no limit on web protocols (that we know if). This means Facetime (calls/video) and iMessage are supported. The LFM site has the latest and complete LeFrenchMobile tariffs: click here. But if you want cheaper data in Europe or a global data SIM, check out our Global Data SIM with 1GB of EU data for only €25. Other France and Europe Prepaid SIM critical information. * EU includes the 28 European Union countries include: Austria, Belgium, Bulgaria, Croatia, Cyprus, Czech Republic, Denmark, Estonia, Finland, France, Germany, Greece, Hungary, Ireland, Italy, Latvia, Lithuania, Luxembourg, Malta, Netherlands, Poland, Portugal, Romania, Slovakia, Slovenia, Spain, Sweden, and the United Kingdom. You MUST be able to access your APN (network) settings to change the settings to use the LFM network. If you can’t access those settings (please check before you leave on your trip or before buying the SIM), you won’t be able to use these cards. If you have an iPhone, our FAQs page has a mobileconfig file to install on your iPhone. Your phone must not be SIM or network locked. You won’t be able to use these SIMs if you can’t change these settings. We use Australia Post for shipping and ship anywhere in the world. Shipping times vary according your local Customs and your local postal service. Choose your shipping method at checkout. Prices range for $6.00 Express Post within Australia to $7.40 for overseas letter. Check out our FAQ. If you have a question not answered there, please just ask us! This is a great way to have data on the go while in Europe! I ordered this from VeloNomad for a recent cycling holiday and it allowed me to use my iPhone on the big climbs in the French Alps (Alpe d’Huez, Col du Galiber, Col de la Madeleine, etc). Works with FaceTime & Skype and really easy to activate. I travelled to Germany afterwards and added an EU datapack and had data there too. A much cheaper and easier way to have data on the go than using Global Roaming or other TravelSIM cards. Plus, Tim is very helpful and easy to deal with. I’m heading back for a non-cycling holiday and am going to use these for the family again this time. This is a highly recommended product! This is a great product, and Tim is amazing to deal with. I did alot of research before purchasing with Tim at VeloNomad, and am glad I ended up here. The SIM card gives you a new number so you can be in contact with friends in family in Europe you are traveling with at very cheap rates, and plus international calls and testing from EU to US are also extremely affordable. Additionally, the data plan is great and very easy to track. Le FrenchMobile are excellent providers and I had service everywhere I went in France including Paris, Nice and Monaco. Also, want to share this little story to illustrate how Tim and LeFrenchMobile went above and beyond – I took my old SIM card to France which I bought in April 2015 from Tim, only to find out while in Paris this May I had let it expire (forgot to leave some credit on it for the monthly charge, <1 Euro/charge maintenance fee). I emailed Tim about this, and he got in touch with LeFrenchMobile on my behald and guess what? They hand delivered a brand new SIM card to me the VERY NEXT DAY to MY HOTEL in Paris. No questions asked – Tim fronted this for me so I could get the SIM ASAP, and I paid him with PayPal a few days later. Amazing….buy these SIM cards and the data packs – no downside while traveling in EU! Great SIM – was all set up and ready to go before leaving Australia. The data packs are great value. Used the data to FaceTime/Skype the family back in Australia and it worked well. Would highly recommend this if you are heading to France – saves all the hassle of trying to get a Sim there. Also a big thanks to Tim – great customer service. Messaged Tim with questions regarding a SIM, he came back to me within minutes, confirming that the previous reviews were correct. Excellent product support. You definitely went above and beyond. Your support was awesome, thank you so much. Getting internet in France was great! Also worked on Monaco, no problem. Tim, I just wanted to let you know that this SIM is working perfectly! Your directions were perfect. We ended up using it in an Android phone instead of the iPhone but it was super easy. Your instructions for setting up the APN were a snap and I followed them in the plane as we were taxiing to the gate!